There is just something about the way kids take pictures that is pretty darn hilarious. 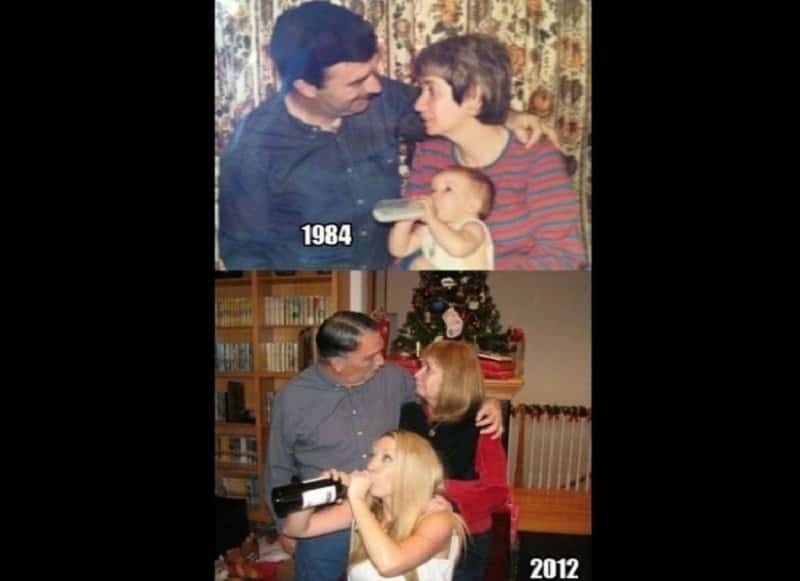 The only thing that might be funnier is when adults decide they want to take those same pictures, decades later. As weird as kids look in some of these poses, they seem to be right at home in them. 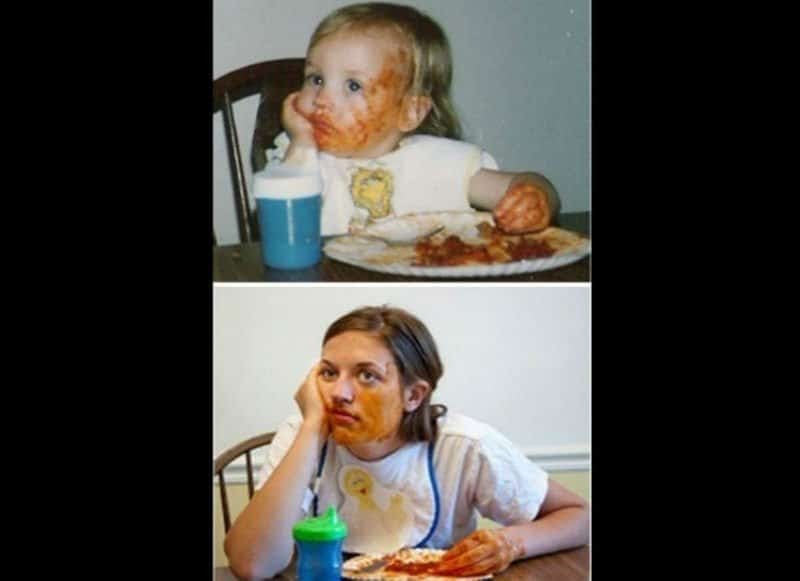 The same can’t be true when talking about adults who have too much spaghetti on their face, or are sitting in their grandpa’s lap. 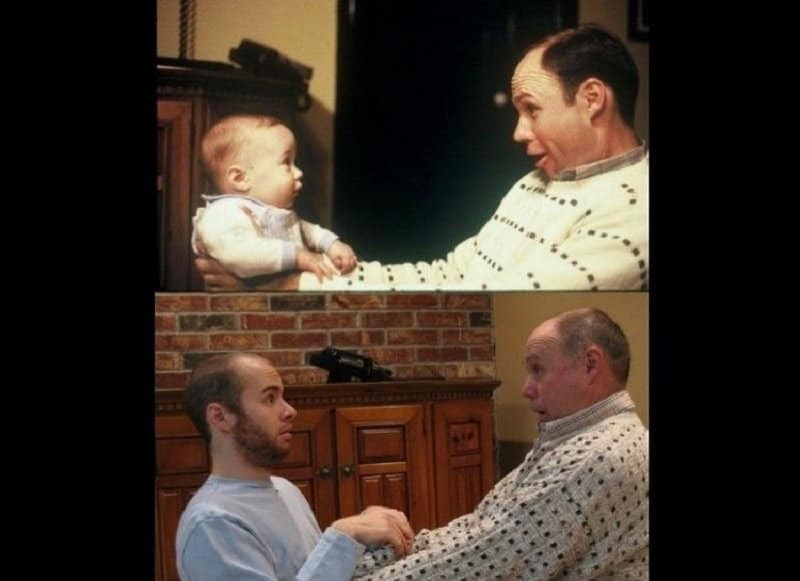 The trend of taking a picture that you took years and years ago is becoming a big thing on the Internet these days. That means there’s plenty to choose from when talking about the best of those pictures. Check out our entries and let us know if you’ve ever done this yourself. 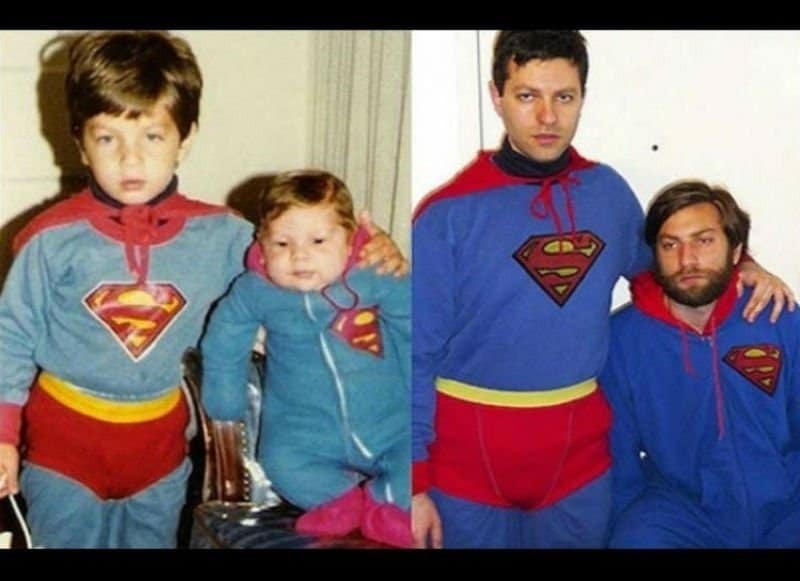 The best part of this photo is that the two brothers look even less happy about taking this photo than the day it was first done. 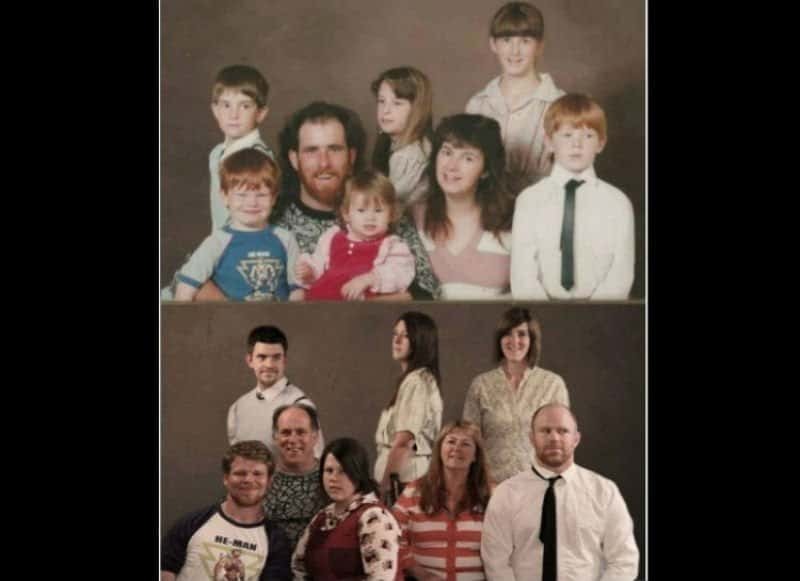 There’s very little wrong with this picture (other than the obvious) and the family has done a great job recreating every detail. We like that the dude on the right even has his tie askew the same way. Seriously, it take some real talent to … oh boo, that’s cheating! Check out the sister. It’s the open mouth of the brother on the left that really sells this, otherwise incredibly creepy photo. 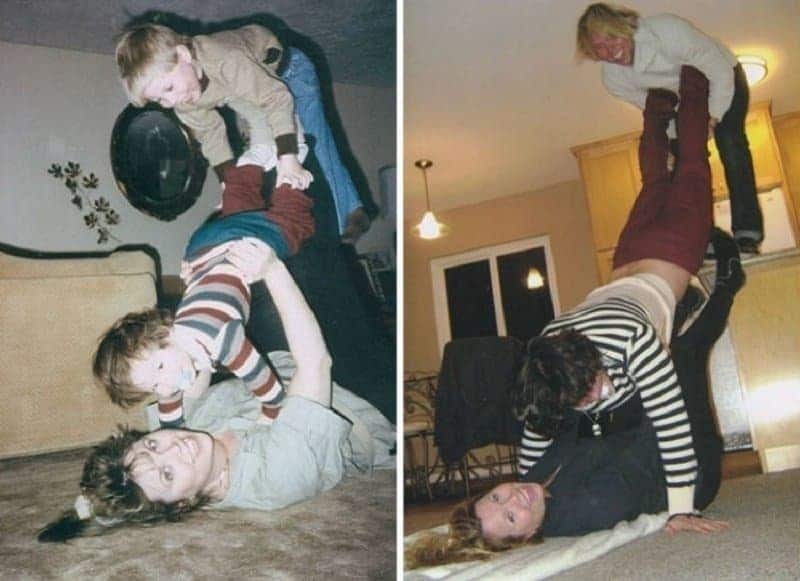 No, this photo isn’t an exact recreation. There’s the different shirt the mother is wearing. And then there’s the adult version of the baby bottle the daughter is drinking from. 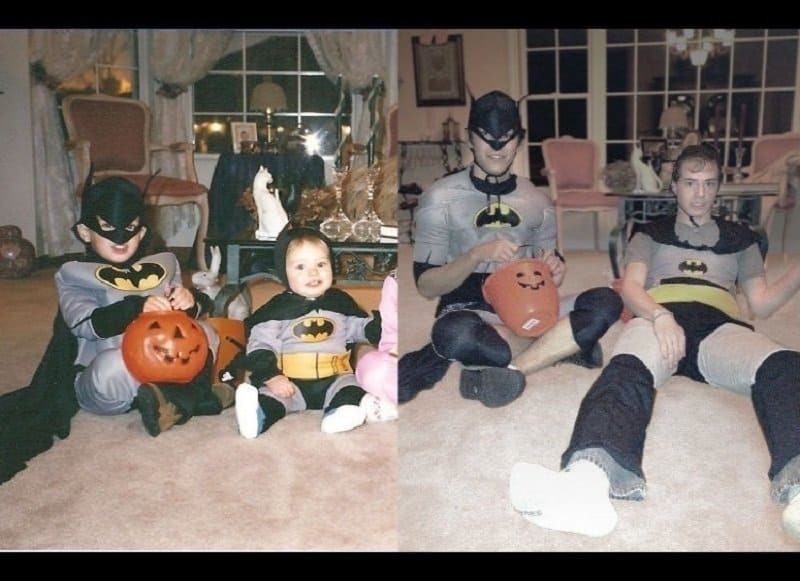 We love the depth of detail the brothers took in this photo, but they both look a little too comfortable wearing ill fitting Batman outfits in present day. 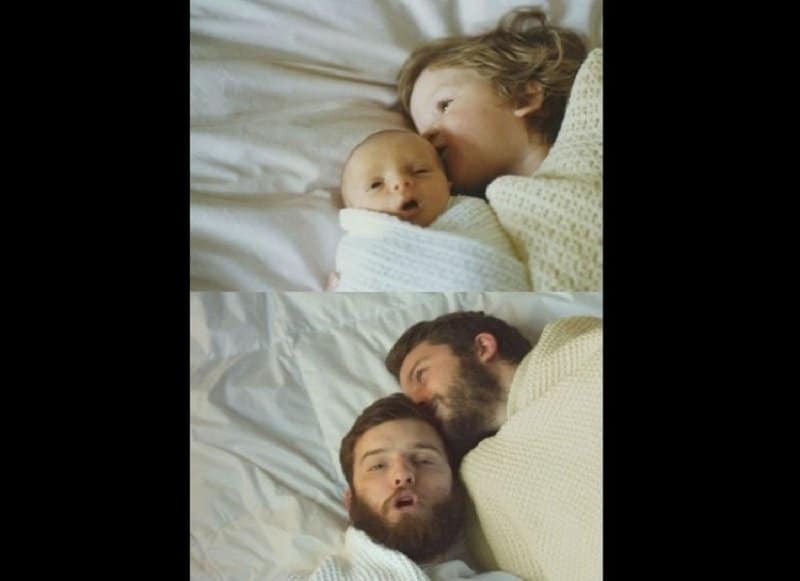 The dad in this pic really has the look down and the son is doing some nice recreating too. He’s got the flat eyed expression down pat. 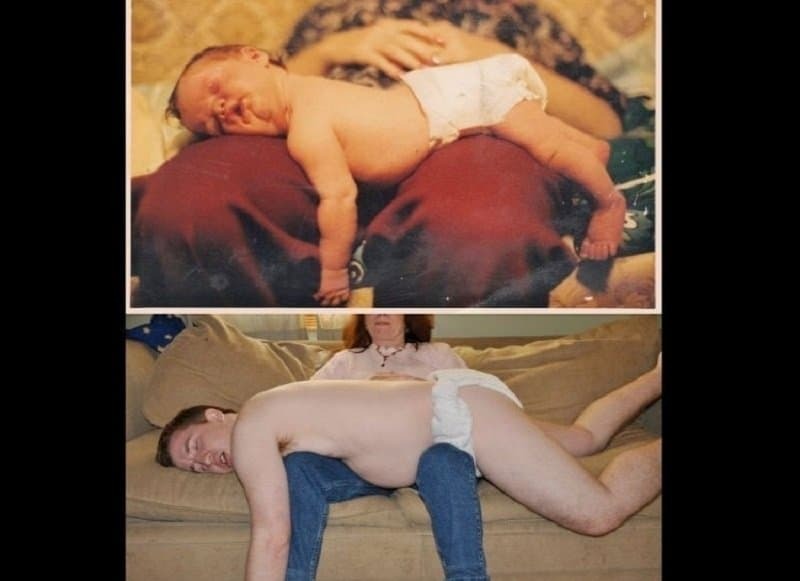 We wonder if this pose is as natural as it appears. Is this a daily occurrence? Because it looks like it could be. 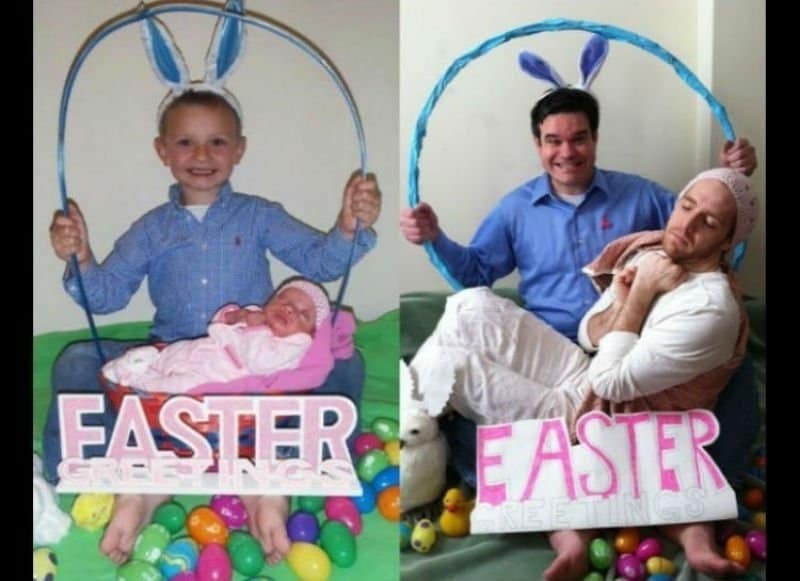 We like to think these two guys’ kids are standing just off camera, looking on in horror, as they wait to go searching for their eggs. Something has clearly been weighing on this young lady for quite a while now. That or she literally hasn’t moved in 30 years.